Mission International raised funds during 2008 to support a number of Christmas time initiatives for the poor. The picture below shows the distribution at Padmanabanagar, Visakhapatnam city area Andhara Pradesh, where Pastor Nathaniel Vara Prasad and his wife Beulah distributed food and clothes to leprosy patients and their children. To see more visit the Gideon Evangelical Ministries (GEM) blog click here. ``Oh, Man! look here. Look, look, down here!'' exclaimed the Ghost. ``Spirit! are they yours?'' Scrooge could say no more. ``Have they no refuge or resource?'' cried Scrooge. Paul Baloche, Steven Curtis Chapman, Stu G, Israel Houghton, Tim Hughes, Graham Kendrick, Andy Park, Matt Redman, Michael W Smith, Chris Tomlin and Darlene Zschech. Click on the image below to see how many of the big names in the Christian music scene are pooling resources to help the poor. Welcome to the Mission International Christmas 2008 e-Newsletter! Below you will find a short account of each country/project in which Mission International is involved and a link to the related blog where more detailed information can be found. Please also visit our website www.mission-international.org there you will find a link to our prayer blog, we would really value your prayers as we seek to share the Good News with many and serve God amongst the world's poor, including many Christians who are in desperate need. 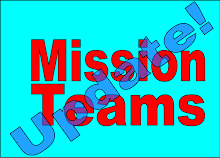 If you feel you would like to get involved by going on a team or perhaps you can pray for Mission International and our partners then we would love to hear from you. This year has been busy in Uganda. Our partners there are all making progress and much has happened during the course of 2008. Bweyogerere Multi Purpose Primary School has now been running the Mighty Meals programme for over one year. 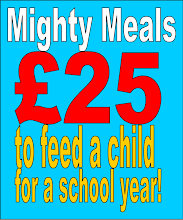 Many children are receiving food every day whilst they are at school. Orphan children and those from very poor families may be able to have a place in school but the hunger pangs which they feel daily interrupt their education. During October 2008 a team of 8 pupils and 3 staff from Menzieshill High School in Dundee accompanied Hugh Henderson to Uganda. The team was based in Gabba with ARM and travelled to Bethany Village and Namutamba to be involved with the communities there. The team were able to resource schools and medical centres as well as fund a sports field for the Bethany Village school and community. As a result of their visit to Namutamba the team has agreed to support that work with child sponsorship and the future development of the school on a new site. The team also visited some of the tourist attractions like the source of the Nile, the equator and the Murchison Falls and game Park. Mission International has began a partnership agreement for child sponsorship with ARM. We currently have the names of 20 children who we have agreed to sponsor, please consider how you might help in this crucial programme. The ARM team have asked Mission International and others to host a UK tour for the Mwangaza children's choir in 2010, we will keep you posted about this as and when all of the agreements are in place. Currently the church has a piece of land for which they have made part payment. The church currently meets under polythene in the Henderson School grounds but it is hoped that funds can be found to finally purchase the church land and construct a permanent building for worship. This school has developed quickly over the last few years. New government regulations have made development of the school a lot more difficult but the team there are willing to do their best to comply. After a recent UK tour by Pastor Emmanuel Nnyanzi and his daughter Grace there is now in place a draft plan for the future which UK and USA partners will adopt and work toward making the future of this vital ministry more secure in the long term Parental Care orphanage Henderson School currently educated 191 pupils all of who require some sort of care. There are those who are orphaned by one or both parents, there are those who are abandoned by one or both parents and there are those who come from extremely poor families and backgrounds. All of the 191 children fall into one of these three categories. The orphanage is designed to house and care for these children whilst they are at school. The child sponsorship programme, run in partnership with Mission International, wants to bring financial support to the children of the Henderson School/Parental Care orphanage in order that their basic needs can be met. The financial support raised will make sure that the children are well fed, clothed, housed and educated, as well as provide basic medical care. Star School, the vision of Rev. Nathan Amooti Rusengo of Rwanda to provide high quality education for the children of Rwanda, is currently in need of resources to fund furniture and equipment for the school. The school need beds, and desks and books etc. If you feel you can help resource this exciting project please print off the forms linked to this message. How about a team of carpenters and engineers heading for Rwanda for a few weeks to help put some beds and desks together? To download a teams application form click here. The REMA team is a very strategic resource to the nation of Burundi. Currently Burundi is the poorest country in the world, politically sensitive and financially desperate. During their time in exile a team of refugees gathered to pray for their beloved country and seek ways in which they could support those in need including their fellow refugees and those with HIV/AIDS. Their efforts have been very successful but still there is need for much more support. Mission International has entered into partnership with the REMA team to find strategic ways of supporting the team in order that they can go about their work unhindered. To date Mission International has funded income generating projects for the team so that they can commit themselves to the ministry. Your help in this endeavour would be much valued. During July/August 2008 a team of five from the UK visited Burundi and were involved in evangelism, discipleship training and income generating project work in centre around Burundi. The team visited, Gitega, Rutana, Rumonge and Gatumba, their ministry, support and friendship was very much appreciated. 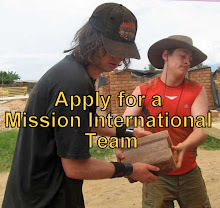 Mission International is planning a Burundi team for 2009, if you would like to be considered for that team please complete an application form and return it to us. We are so grateful to God for the involvement of Charles & Val Carr and their family in the development of this project. The Carrs were seeking a place to serve God where they could use their skills and contacted Mission International to see if there was a project in which they could become involved. 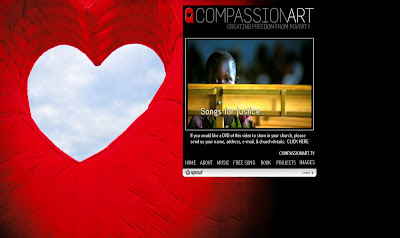 Of course they got in touch at the right time since a new project was about to begin in Burundi called the Hope Centre. The Carrs agreed to go, supervise and manage this project and as a result there has been wonderful progress to this heart rending situation. 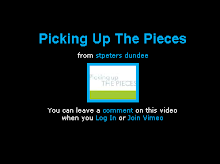 A weekly update is posted on the Hope Centre website so please make sure you have a look. A team from Woodhill Evangelical Church visited both IVM & GEM over a two week period in August 2008. The team were involved in evangelism, church ministry and children's ministry, they also visited those who are suffering from leprosy. 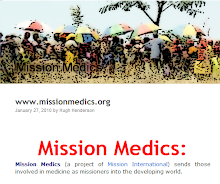 Mission International hopes to send a team to IVM in 2009. Pastor Nathaniel Varaprasad and his wife Beulah serve in the villages surrounding the town of Visakapatnam in Andhra Pradesh. Currently Mission International is working with Pastor Nathaniel to develop income generating projects to provide support for those affected by leprosy.